This sheet ivory frame is 12.5 cm by 14 cm. 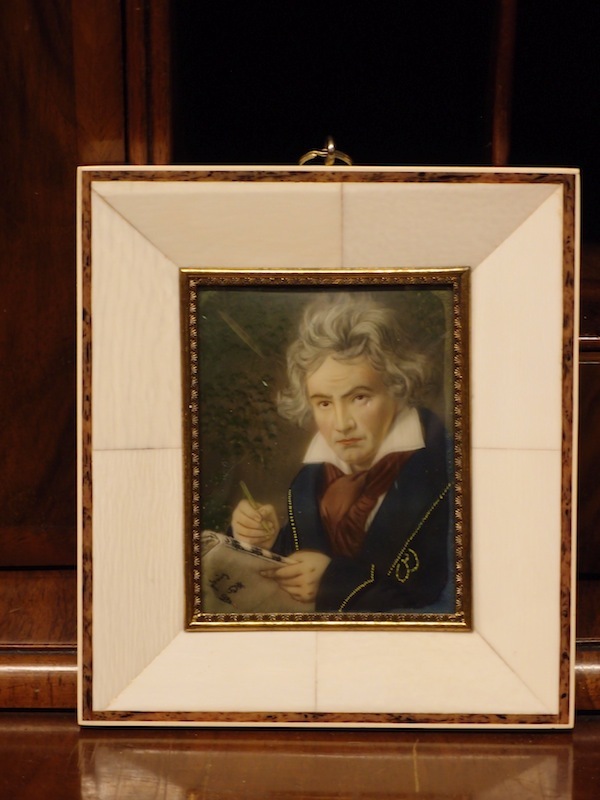 The painting of Beethoven is signed lower left, and is on ivory. These are typical of the post-War luxury products that bolstered Italy's economic and social recovery after the War. Most of the factories were gone, but these did not need factories! This sheet ivory frame is 12.5 cm by 14 cm. The painting of Beethoven is signed lower left, and is on ivory. These are typical of the post-War luxury products that bolstered Italy’s economic and social recovery after the War. Most of the factories were gone, but these did not need factories!